Discover Cuenca Ecuador and BEYOND! : DIY Ecuador Coast Travel Guide AT YOUR SERVICE! DIY Ecuador Coast Travel Guide AT YOUR SERVICE! 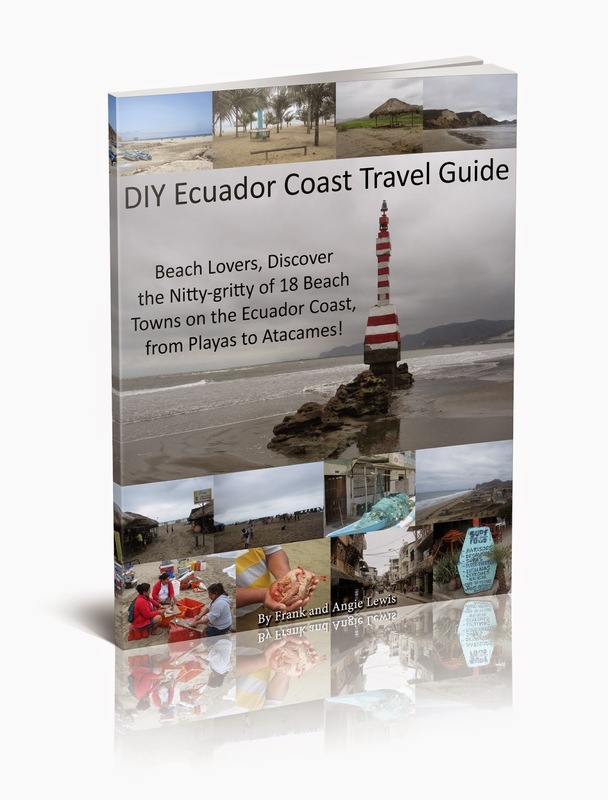 We are pleased to be offering our readers the DIY Ecuador Coast Travel Guide, published and ready for purchase. We cover in DETAIL 18 coastal towns, holding nothing back. The REAL nitty-gritty of the Ecuador coast is now available for your perusal. Want to know the safest beach towns? Best time of year to travel to the coast? Where to stay with photos, description, and rates? Advantages and disadvantages of the Ecuador coast? Most beautiful beaches? About buying, renting and retiring on the coast of Ecuador? It's all here and more. All the great information you have become accustomed to reading from Frank and Angie.The Ecuador Coast Up Close!! Preview all 31 chapters and up to page 11 here!